The Nitro is one of the Dodge models that might become a Fiat. TURIN -- Iconic American muscle cars such as the Challenger and Charger will continue to be sold under the Dodge brand in Europe, but less distinctive products such as the Journey crossover and the Nitro SUV could start wearing the Fiat badge here. Dodge is part of the Chrysler Group, which Fiat S.p.A. took a 20 percent stake in this summer. Now Fiat is seeking ways to maximize the synergies possible within the combined groups' six mass-market brands. “The Challenger and Charger are by definition American vehicles and you cannot turn them into anything else, thus they are also going to remain Dodge (branded cars) worldwide,” Fiat-Chrysler CEO Sergio Marchionne told Automotive News Europe late last month. Meanwhile, vehicles such as the restyled Journey and the Nitro, due in Europe in 2011, could be sold as Fiats here and in Latin America. “Our immediate task now is to see what else sits within Dodge that can be used internationally by the Fiat brand,” Marchionne added. 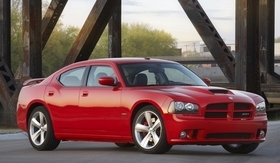 The Charger will have a spot in Dodge's future European lineup. The future in Europe looks this way for other Chrysler Group brands. 1. The lineup of Chrysler brand cars could grow to include models currently sold by Fiat subsidiary Lancia. The Lancia models that may be turned into Chryslers include the Delta compact and the next-generation Ypsilon subcompact, which is due in the second half of 2011. The Delta and Ypsilon are expected to continue to be sold as Lancias in Italy, which accounts for about 90 percent of the automaker's total sales. 2. There will be no changes at Jeep. Its lineup of SUVs and crossovers will continue to be sold. Separately, Chrysler's Ram pickups could be sold in Europe as part of the Fiat Professional light commercial vehicle unit's portfolio. Fiat has not given a timetable for an official launch of the Ram pickup launch in Europe. Currently, Rams are sold in Europe only by private importers. 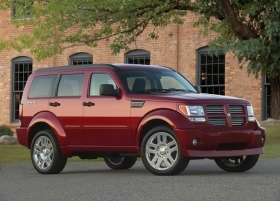 According to company figures for 2008, Chrysler Group sold 87,637 units in Europe. Jeep was the top-selling brand with 32,542 units, followed by Chrysler brand's 28,936 sales and Dodge's 26,159 units. Fiat Group Automobiles sold 1.17 million units in Europe last year, according European automaker association ACEA. The Fiat brand led with 957,267 units followed by Lancia's 113,978 sales and Alfa Romeo's 102,223 units.